Stop by Kanda’s booth #311 to meet our experts and discuss how Kanda’s capabilities in Life Sciences, Pharma and Healthcare sectors can help you overcome your Technology Challenges, support you on the path to Digital Transformation and speed up your Innovation to Strategically Enable your Business. 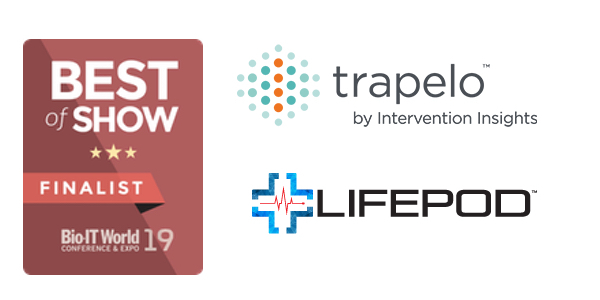 We are excited to announce that two of Kanda’s clients, Intervention Insights and Lifepod, have been named Best of Show Finalists at Bio-IT 2019 World Conference and Expo for their innovative products. Trapelo from Intervention Insights is the only real-time precision medicine platform that enables everyone involved in cancer care to align their decision making and reimbursement policies with the most current clinical evidence in molecular oncology. LifePod’s Virtual Caregiver service expands the capabilities of popular smart speakers (e.g., Amazon’s Echo) with patent-pending innovations that make LifePod an easy-to-use, 2-way voice service for seniors or chronically-ill patients living at home and their caregivers. Unlike traditional voice assistants, LifePod can be set up and controlled by a remote caregiver using LifePod’s online Portal and Dialog Management System. Stop by Kanda booth #311 to see exciting demos of LifePod and Trapelo and to learn how we have contributed to their innovation. Since its debut in 2002, the annual Bio-IT World Conference & Expo has established itself as a premier event showcasing the myriad of IT and informatics applications and enabling technologies that drive biomedical research, drug discovery & development, and clinical and healthcare initiatives. 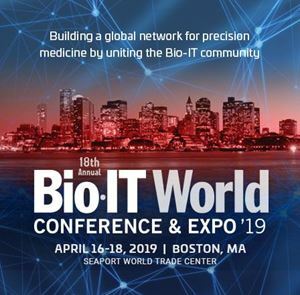 The Bio-IT World Conference & Expo continues to be a vibrant event that unites 3,400+ life sciences, pharmaceutical, clinical, healthcare, and IT professionals from 40+ countries.